I will try keep today’s Status Update a little shorter as it looks like most of you are deep into ‘The Big Five’ comp. Well, only three days into this competition and we already have nearly 1400 players signed up, which is truly amazing and it is great to see such a good response from the community. If you have not entered, there is still plenty of time left to get signed up and have a chance at the very big prize pool. Sign up can be found here and more information, including how the very nice prize pool can be claimed, can be found here. Again we have to thank both theHunter Italy and Fiocchi Ammunition (Updated Website) for getting involved, this is shaping up to be a very nice collaboration and hopefully opens the door to future collaborations with more of the community. 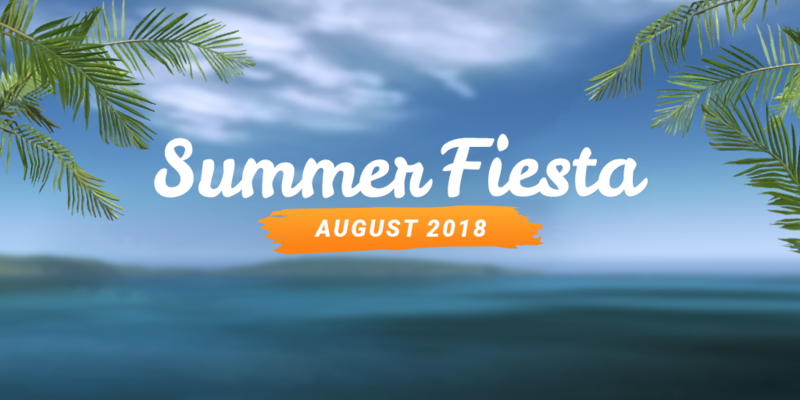 If you are already thinking about being disappointed next week because ‘The Big Five’ will have ended, we have you covered with this years ‘Summer Fiesta’. The event starts next Wednesday and runs for a full month! Some of you like the guessing games and some of you don’t, but there is a new item coming out soon, this item has been stated previously as ‘Impossible to make’… but just like the newish Extended Render Range, we have once again made the impossible, possible. I am trying to think of a hard clue that you can’t just put holes in with ease…. I think that will do. Projectiles not registering after 500m. A fix for this is currently being tested and we will release it to you as soon as it passes. Golden 10 GA not displaying in gun racks. We are working on a fix for this and it will also be addressed in an upcoming patch. Issues with German pointer and Scent hound. Various issues resolved and will be added to the next patch, more details to come. Turkey and Motion Predator Decoys. Again we have found the cause for the loss of attraction and you can expect a fix in the next patch. All going to plan, the patch can be expected next week. The ‘Trophy of the Week’ is this Canada Goose, which was shot by ‘Pretty_Boy’’. It has a nice score of 8544.942, a very nice trophy shot, congratulations! If you are unsure of what many consider a trophy Canada Goose, it is anything over the 8000 scoring mark. 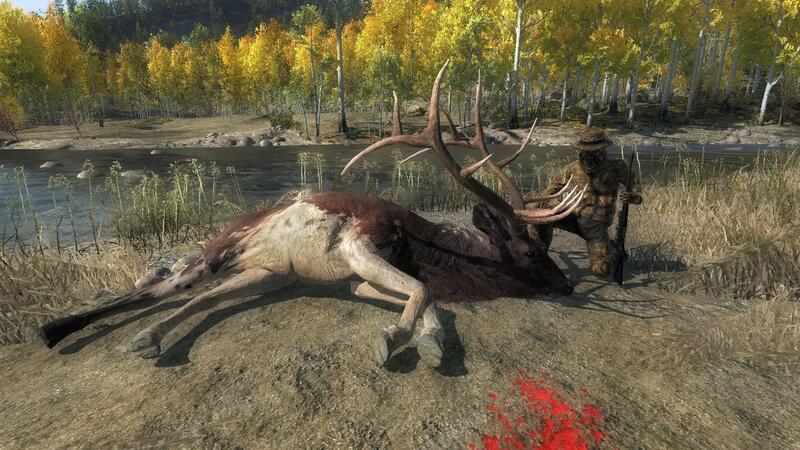 And the ‘Rare of the Week’ goes to ‘Nockedup’ for this lovely Piebald Rocky Mountain Elk with a score of 327.243, congrats! It looks like Wild Boar, Red Deer and Brown Bears are running hot at the moment, lots of rares being entered! 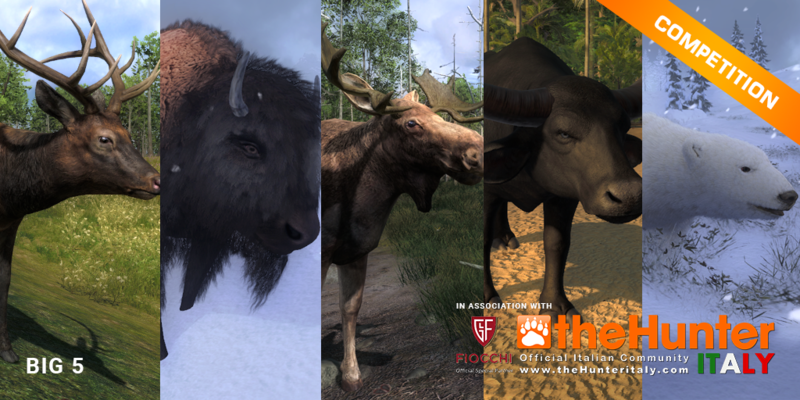 This week’s free rotation, lets our guest hunters test their skills against Water Buffalo and Magpie Geese. Good luck and have fun!